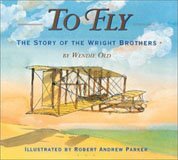 Wendie's Wanderings: Nonfiction Monday -- BUGS ! Many public librarians already know this, but the rest of you might be interested to learn that the National Summer Reading Program theme this year is BUGS! "CATCH THE READING BUG" to be exact. And these two books will be just perfect to hand out to young bug fans. 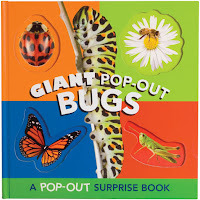 Giant Pop-out Bugs, a Pop-out Suprise Book -- has a laser-cut cover showing four bugs on the title page. Inside the riddle on the left gives hints about the bug hidden on the right. To discover the bug the reader must lift the right hand page out to a double spread. Seems simple enough. Except when you do that, it's not a simple flap -- it's a giant fold out picture of the bug -- many times larger than life sized. Great for using with groups. I'm not so sure about its use as a lap book, because those giant sized bugs startled me. Heavens only knows what small children will think. 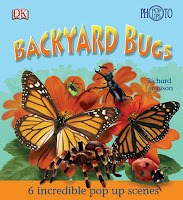 Backyard Bugs, 6 Amazing Pop-up Scenes -- is a more traditional pop-up book featuring bugs. 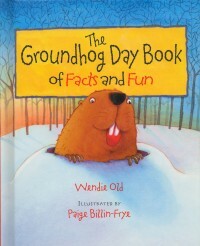 Each page has a bit of information about the bug popping off the page. For those who wish more scientific information, Each bug page has a large pocket with a pull out page of more information. This one could be useful for reports. Another similar book by Richard Ferguson for your enjoyment is filed in our nonfiction section -- 591 -- and is called, On Safari, 6 Amazing Pop-up Scenes. 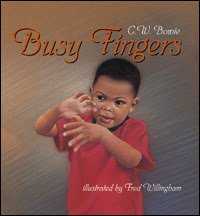 To read more blogs which talk about Nonfiction this Monday click here. Cool! 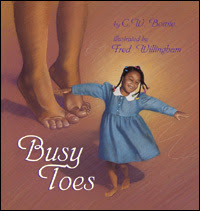 And maybe at a library event you can have read Joyful Noise: Poems for Two Voices with kids. This Newbery-winning poetry collection is all about bugs.